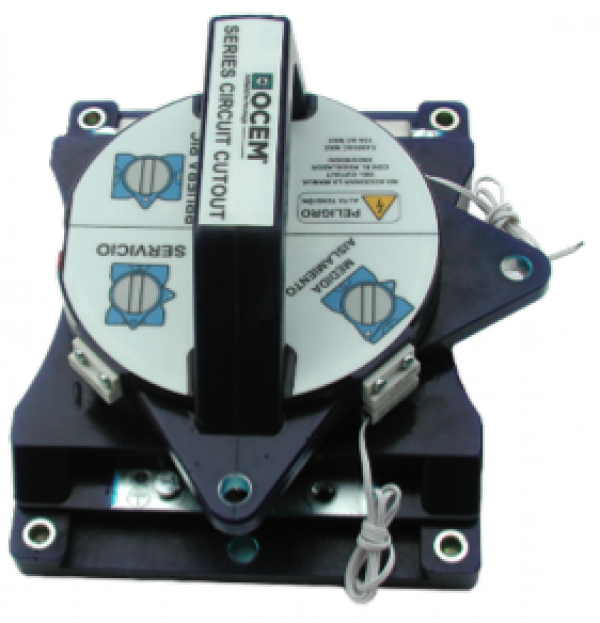 This equipment short-circuits and connects to ground the series circuit output terminals of the constant current regulator and assures the series circuit is not powered during the site maintenance and testing operations. SCC allows to modify the functional and protective electrical wirings between the constant current regulator and the series circuit/grounding cables by simply operating the mobile upper handle plug, avoiding possible contacts to the high voltage parts of the circuit. • the handle plug, which permits different connection combinations between the constant current regulator and the series circuit, depending on its position.